Today I take up the role of chairing the National Police Chiefs’ Council (NPCC), a body that brings together the collective expertise of chief officers across the country to improve policing for the public. I take over from Sara Thornton who has done a fantastic job in leading the NPCC from its creation through the challenges that have buffeted policing in the past four years - whether political, financial or operational. By any comparison, these have been difficult times for policing. I know the next four years will contain their own challenges, but when I look across policing and my national partners - the associations representing our officers and staff, the College of Policing, the National Crime Agency, Her Majesty’s Inspectorate, the Association of Police and Crime Commissioners, the Independent Office of Police Conduct and the Home Office - I see a shared understanding of the challenges we face and a determination to find a collective way forward. I am not naive enough to think there is a smooth or obvious path set out, but I am certain that there is a generational opportunity for police leaders to make a step-change in how we play our part in protecting the public. I am here because I want to play a central role in achieving this. I am ambitious about what the NPCC can and should achieve. One of my first priorities will be looking with fresh eyes about what we do at the NPCC, and how we do it, so we can set our strategy for the next four years and best represent the leadership of the service. I am straightforward and approachable in the way I operate. I will both listen and speak my mind. I will be open and accessible. I am committed to working in partnership across the whole system of policing – we are stronger and more effective that way. Over the last few weeks I have been meeting as many people as I can to start that relationship building process and I will continue to do so in the coming weeks and months. As the representative of all chief officers from across the country, be they police or staff, it is important to me that I understand their perspectives and their pressing issues. I will continue to invest in conversations that enable me to do that. There are a number of urgent and important issues in my in-tray. Policing has been planning for the potential of a no-deal exit from the European Union for many months. At the moment, we have no firm intelligence to suggest there will be rises in crime or disorder but we are well prepared to respond to any issues that may arise. The NPCC has an important part to play in coordinating the police response to potential issues and ensuring government is informed about the threat picture – and a lot of work has gone into setting up those processes and testing and exercising. Ensuring policing is doing everything it can to bring down serious violence remains a priority for me. Police forces are soon due to receive additional government funding, which will help us to increase our capacity to carry out targeted patrols in crime hotspots and disrupt gangs and crime groups. I will today be attending the Prime Minister’s summit at Downing Street that will explore what more the whole of society can do to tackle the terrible rise in violence that is claiming young lives. This year there will be £970 million more for policing than the previous year – that is positive but it’s not enough to meet all the challenges that the service faces. So an important part of my role will be working with policing and crime commissioners and the Home Office to make an evidence-based case for increased investment in the forthcoming government spending review as well as developing ambitious plans to maximise every penny we have. I am learning fast and I will continue to do so. 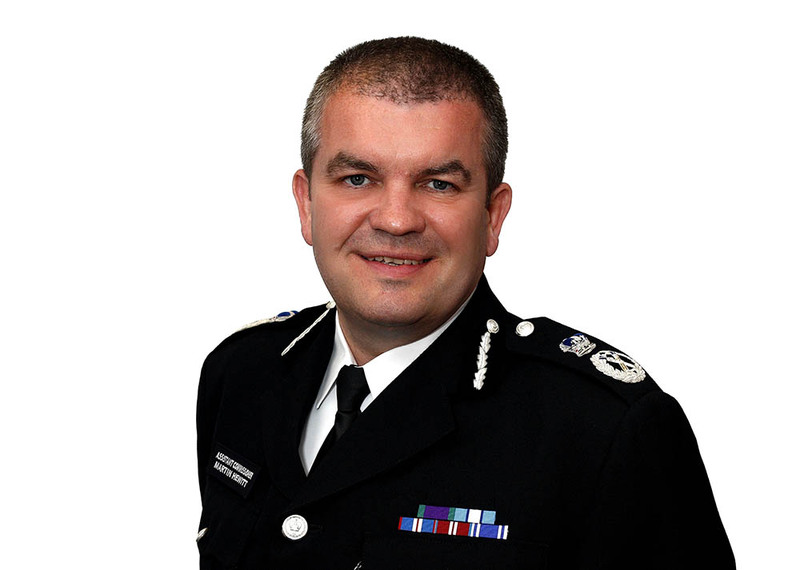 It is a real privilege to lead the NPCC and I am genuinely excited at what we can achieve over the coming years.